From Terri’s Schiavo’s collapse on February 25, 1990 to her hastened death on March 31, 2005, the Schindler family learned several lifetimes’ worth of lessons about love and loss. Terri’s parents, Robert and Mary Schindler; her brother, Bobby Schindler; and her sister, Suzanne Vitadamo; never stopped fighting for Terri’s protection. Although they ultimately lost the battle to save her life, they gained an unparalleled conviction of the need to fight for disabled people in peril. The foundation’s staff, consisting of Bobby, Suzanne and Mary, works to enlighten the public about the growing threat of euthanasia, and serves vulnerable patients and their families directly by providing advice, referrals, moral support and, in some cases,in-person visits. Bobby also travels nationwide and abroad to raise awareness by sharing Terri’s story. The foundation is currently involved in the Gary Harvey case. Gary became disabled in January 2006 and could face a fate similar to Terri’s if he is not removed from a government guardianship and allowed to return home to his wife, Sara, for care. The Schindlers have offered support and have traveled to New York to visit the Harveys. 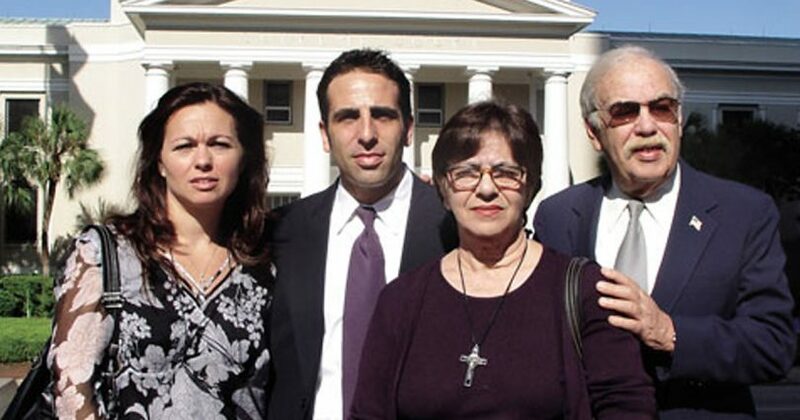 The Schindlers also assisted the parents of Jesse Ramirez as they fought to save their son, who suffered severe injuries in a May 2007 car accident. Suzanne recounted, “Just days into his recovery, Jesse’s wife was ready to have his feeding tube pulled, but his parents fought her efforts and were able to restore his basic care.” Jesse recovered and walked out of a rehabilitation center in October 2007. Following Terri’s death, there was a strong push for people to sign a living will or [other]advance directive. But these documents can be very dangerous if the language is not fully understood. People don’t realize that simple food and water is now considered artificial life support. We need to educate the public on the facts. There is so much confusion about this issue—especially in Terri’s case. She had a profound brain injury but had healthy organs,was not on machines, was not in a coma and was not brain dead. She simply needed care. People must realize that this can happen to any family. This issue doesn’t discriminate. The Schindlers have come to expect attacks on themselves, but they are sickened when the attacks are aimed directly at Terri. On March 21, Fox TV’s vulgar The Family Guy aired an episode mocking her death and describing her as a “vegetable” and “mashed-potato brains.” The foundation is now gathering signatures on a petition requesting that the show’s advertisers drop their sponsorship. “It really makes you question how our society has become so nasty and mean-spirited,” Bobby reflected. “The message is that people like Terri are less than human and have no worth. All these individuals need is the love of others to live, and [yet] they are made out to be monsters.” Bobby hopes that, at the least, the petition drive will raise awareness of the senseless denigration of the disabled. On March 31, Ave Maria University in Naples, Florida, hosted the second annual national Mass for Terri’s Day, which was established by the foundation and Priests for Life two years ago to foster education, prayer, activism and advocacy on behalf of the disabled. Among the many concelebrants were Father Frank Pavone, executive director of Priests for Life, and Father Tom Euteneuer, president of Human Life International. For more information on the Terri Schindler Schiavo Foundation, visit TerrisFight.org.